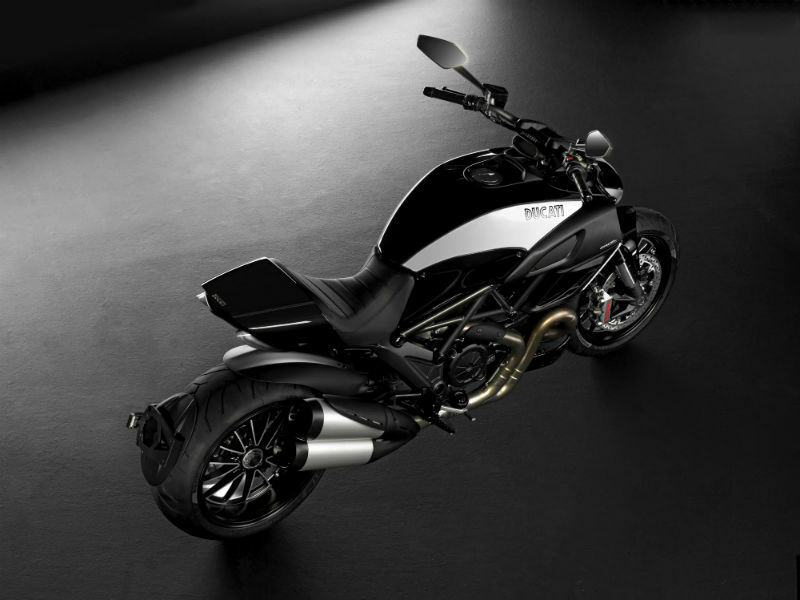 Ducati Diavel Cromo is known for its powerful engine, great performance and trendy looks. Read the review to explore the features, technical specifications & price. With the flawless design, powerful engine, great performance and thrilling speed, Ducati Diavel Cromo serves as an ultimate adventure bike. With its good chassis and braking system the Ducati has become successful in creating the new type of motorcycle which as the power to make every rider go mad about it. The look, the sound, comfortable seating and its greater potential gives it an impressive tag and there is no doubt that it is a true head turner. Like any of the other Diavel series the Cromo also comes with Testastretta 11° engine which takes care of the proper fuel combustion and thereby assures lower exhaust. The 11° inclination used in this engine assures smooth and noise free running. This potent engine of the vehicle provides the maximum power of about 119kW at 9500rpm and the highest possible torque achieved is 127.5Nm at 8000rpm. The Ride by Wire (RbW) technique used in the bike is an electronic interface between the twistgrip and engine, which regulates the power delivery. The all-new trendy bike Cromo inherits most of the characteristics from its early version Diavel however it comes in more polished and eye-catching manner. The chrome mirror finished body and fresh look of its exhaust pipe serves as the major attraction. 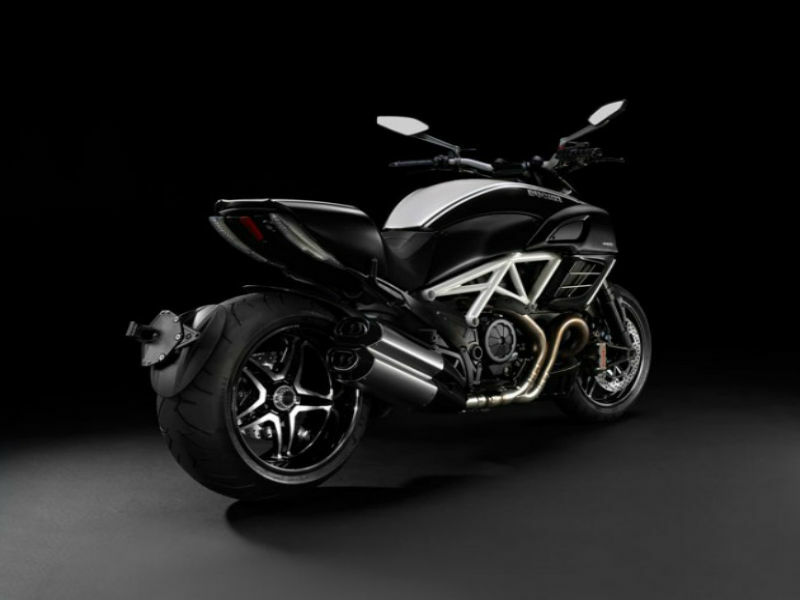 The broader wheels, classy headlights and revolutionary seating design are noted features of Diavel Cromo. With all its artistic execution, this is truly a lovely charismatic vehicle, which every bike enthusiasts like to own, or atleast enjoy the drive. Riding a macho motorbike Diavel Cromo is truly an all-new experience and every person will love it. The well constructed tough body and suspension system plays a vital role in providing the trouble free smooth ride which every rider dream. The vehicle use the front 50mm Marzocchi forks which are fully adjustable with spring pre-load, rebound damping and compression. The rear wheel with fully adjustable Sachs monoshock is other prominent feature of Cromo that guarantees jolly ride. For the greater grip and better handling the braking system includes the front semi-floating discs with radially mounted Monobloc Brembo calipers along with ABS and rear 265mm disc with ABS gives great confidence to the person driving. 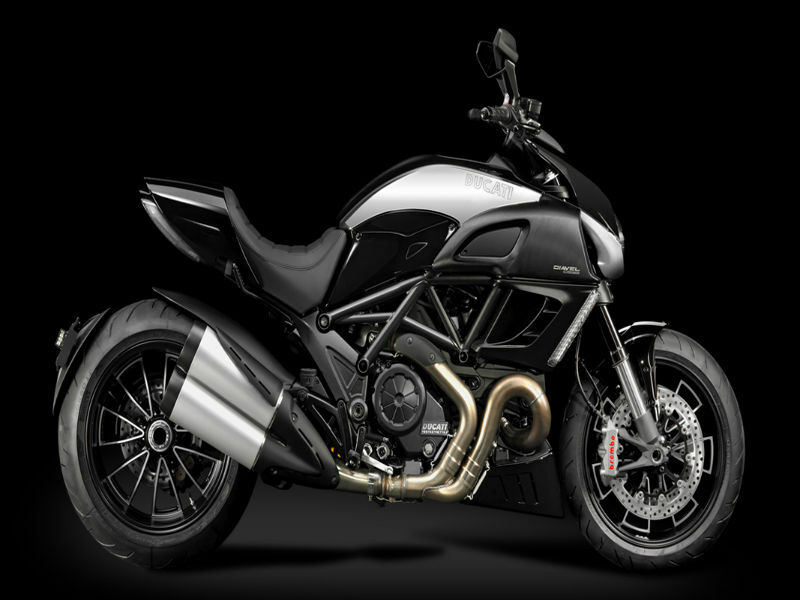 Ducati Diavel Cromo offers the mileage of about 8 to 10 kmpl however this varies with road condition. The super stylish sports bike Ducati Diavel Cromo is available in Diamond Black and Chrome color. The ex-showroom price of this extravagant vehicle is about Rs. 25,00,000.